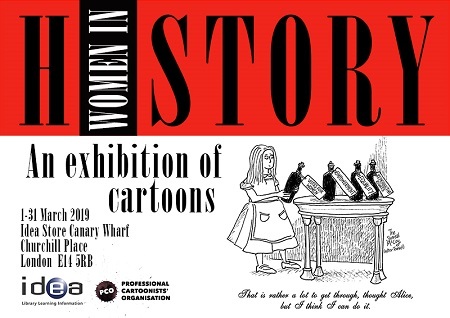 An exhibition of cartoons by female cartoonists and illustrators, curated by the Professional Cartoonists' Organisation. The work of many of these cartoonists is regularly published in the press, publishing and broadcast media. An exhibition of fabulous paintings and drawings created by the art group meeting at the Healthy Living Project based in St Matthias Community Centre, working with artists Wyl and Karine.